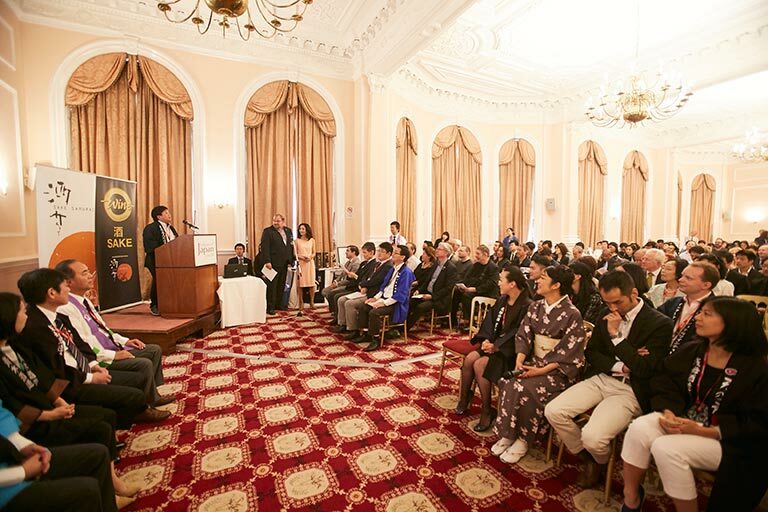 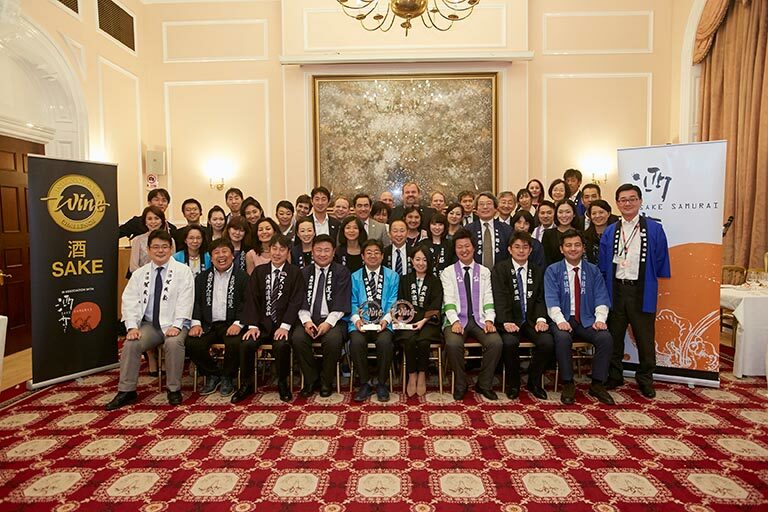 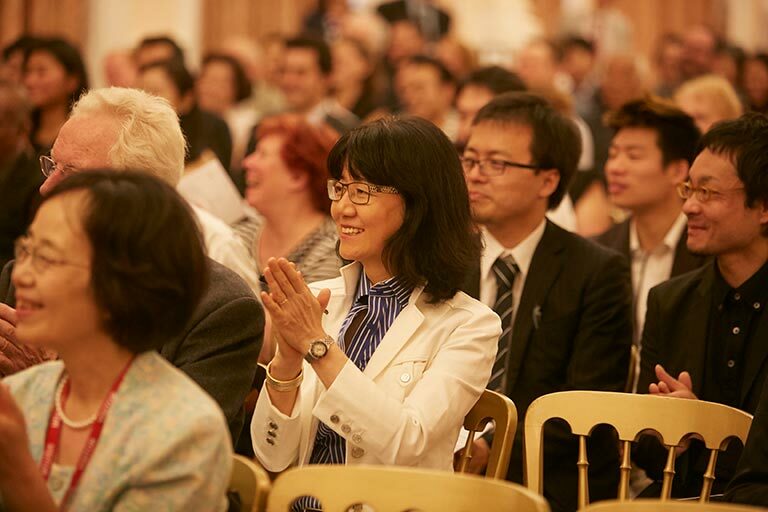 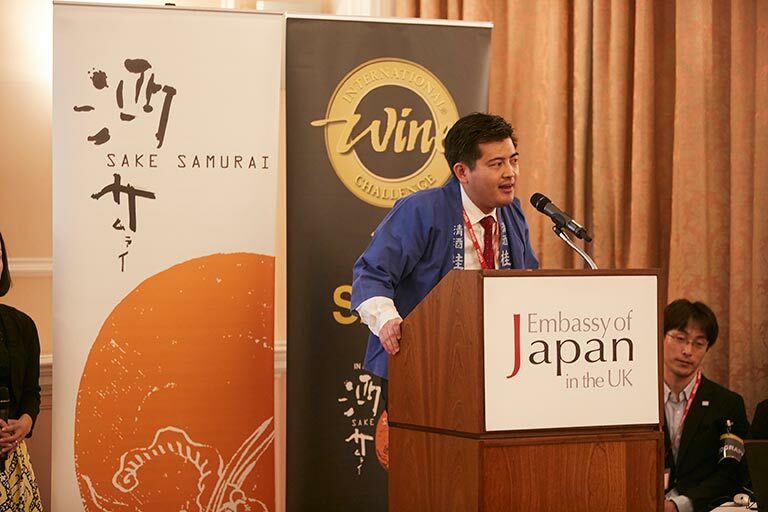 Following the excitement of the awards dinner, the proud champion and shortlisted trophy sake makers gathered at the embassy of Japan to showcase a selection of premium sake to trade, media and friends of Sake Samurai. 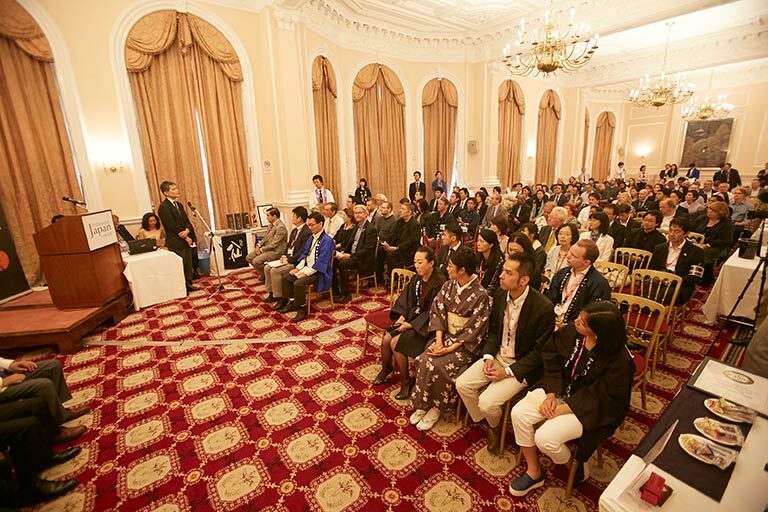 The afternoon began with a seminar section, followed by brief presentations from nine of the award winning sake makers. 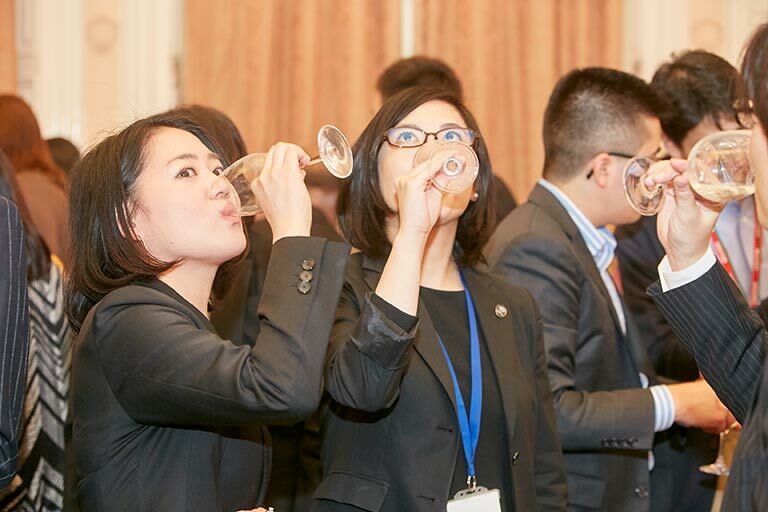 Each sake maker passionately and charmingly introduced their sake brewery and philosophy, as well as the story of the winning sake itself. 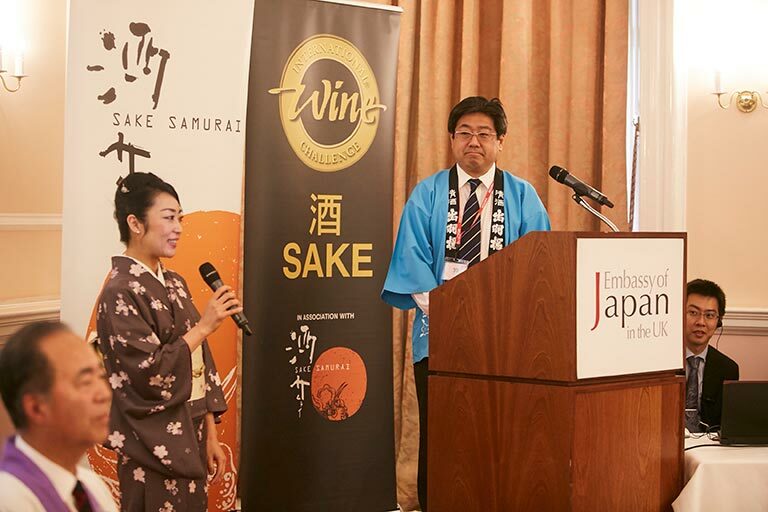 Of note this year was the special presentation on Yamadanishiki sake rice given by the IWC 2016 sake judging prefecture, Hyogo. 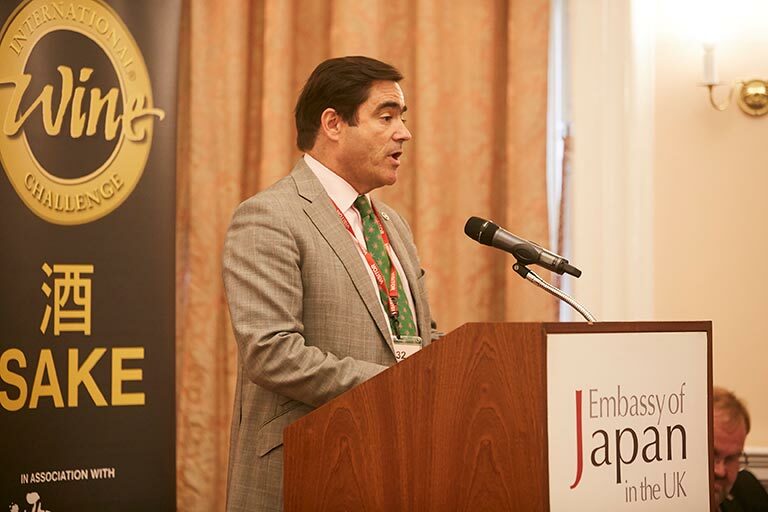 Mr Shiro Niioka, Chief Executive Officer for Agricultural Policy and the Environment, spoke about the King of sake Rice and what gives birth to the best sake. 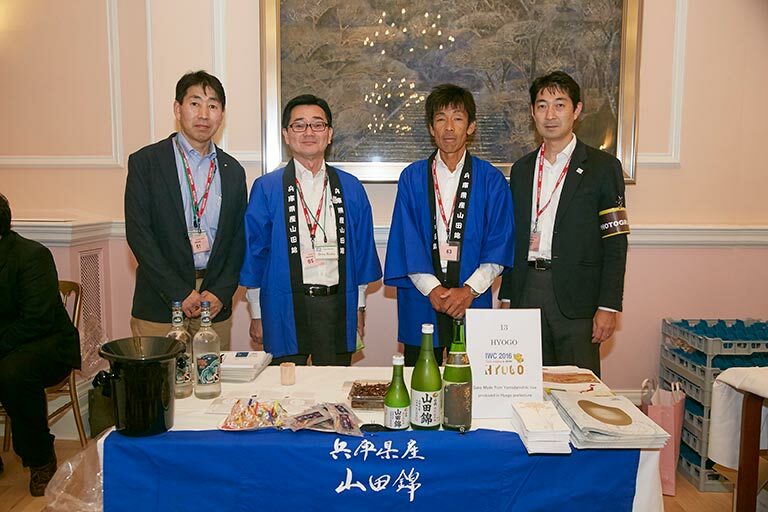 Hyogo delegates also presented two superior sakes made from Hyogo Yamadanishiki at their own table after the seminar. 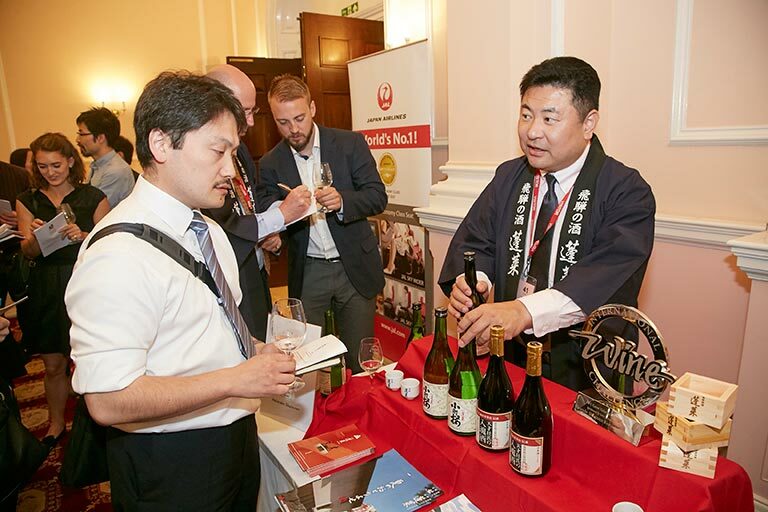 Following the seminars, guests delighted in tasting some of the world’s best sake and talking with the craftsmen of these brilliant brews . 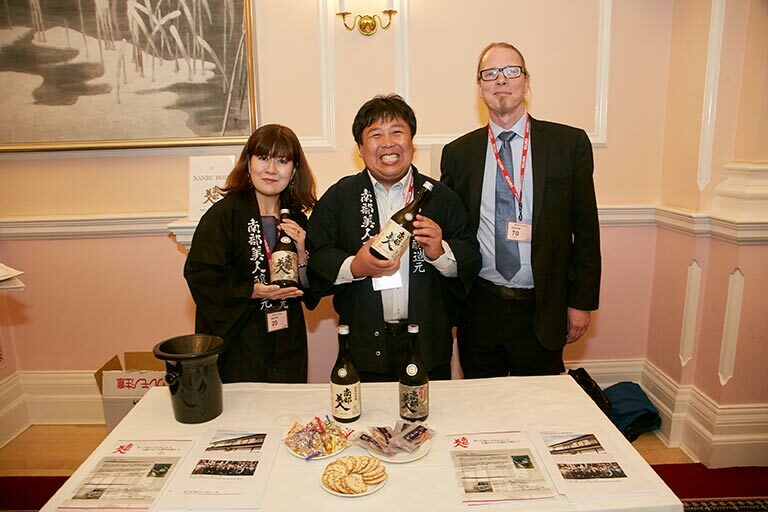 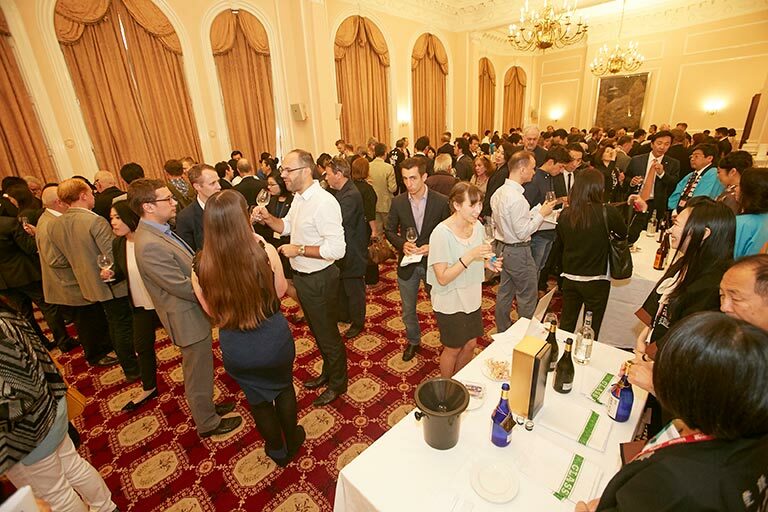 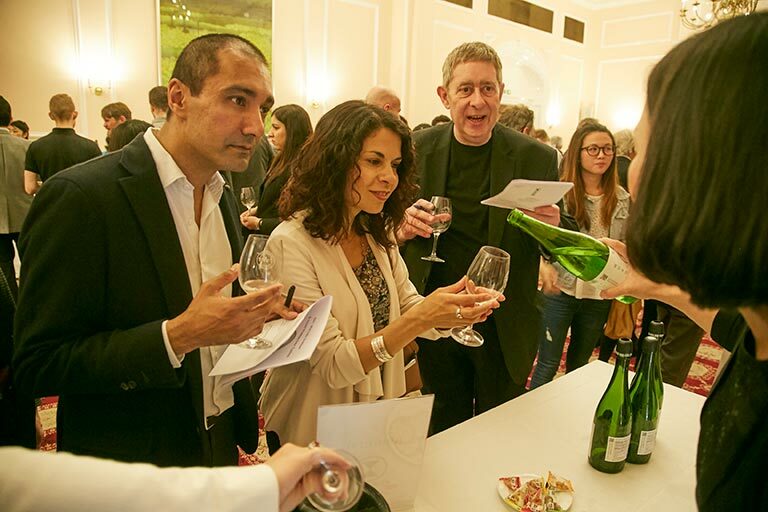 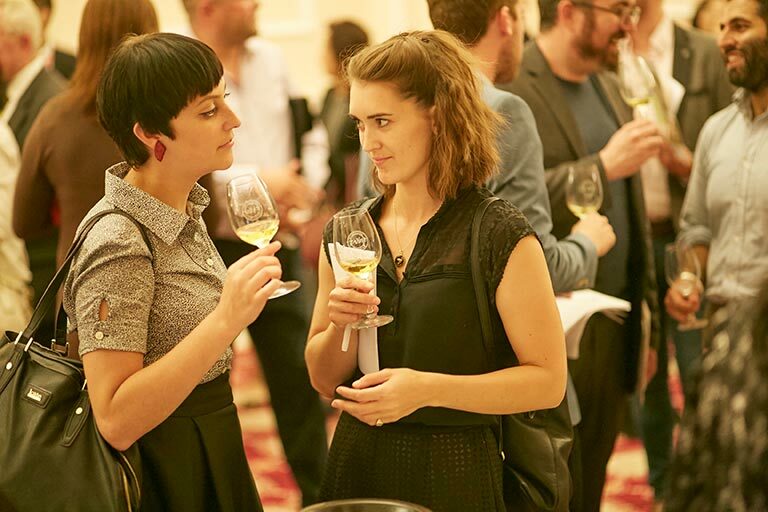 Many of the sakes were not yet available in the UK, so this tasting also served to provide an opportunity for sake makers to find future business partners. 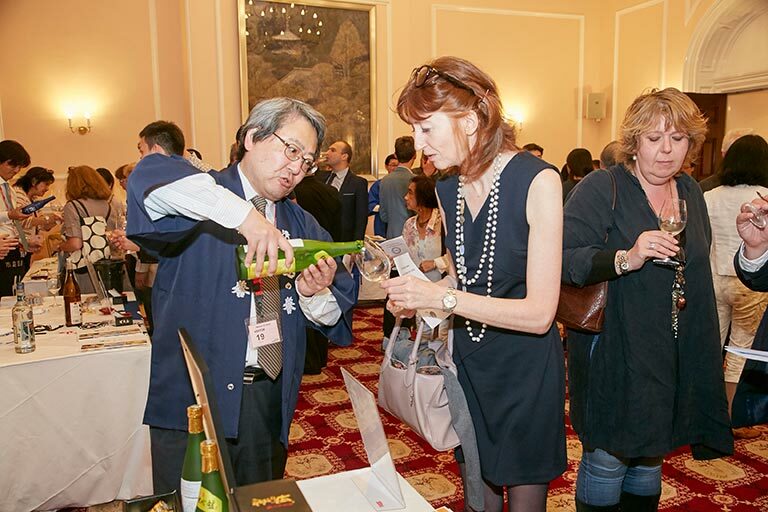 Different from previous years, we limited the number of guests this year largely to trade in order to generate more business for sake makers and encourage smooth conversation. 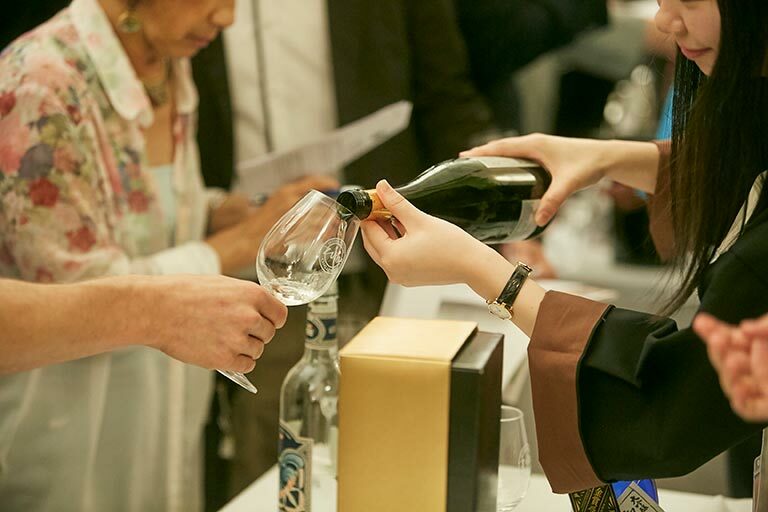 We apologise for the disappointment to consumers and sake lovers who missed the opportunity, but they will be heartened to learn that a consumer sake tasting event is in the pipeline for early next year. 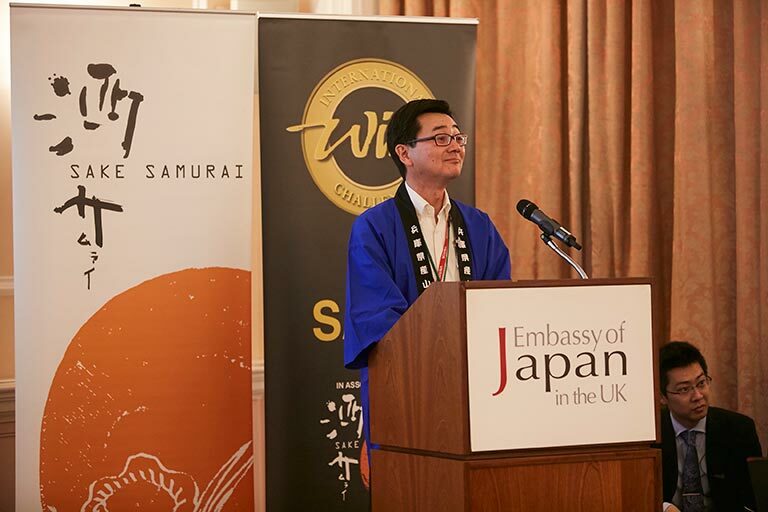 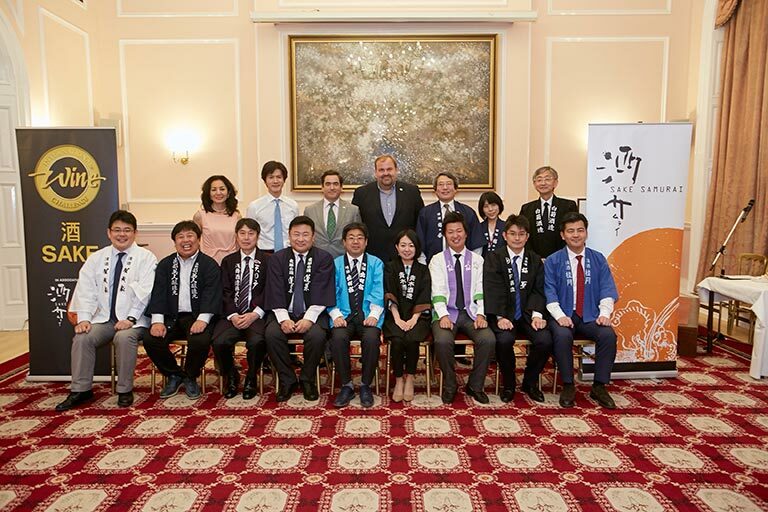 Lastly, Sake Samurai greatly appreciates the continuing support of the Japanese embassy and the finance team, Minister Shimizu, Mr Tsuruno and Mr Inuzuka and their efforts towards the promotion of sake in the UK.